Music Transcription, Adaptation, Arrangement & Notation services. 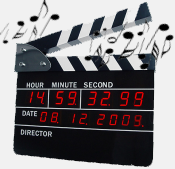 Dancing Mice Productions are leading providers of music transcription, adaptation, arrangement, and notation services to the movie, motion picture and film industry, with a reputation for accuracy, attention to detail and commitment to customer service. We offer a professional music transcription service from an audio source in any format, through to final print. We can create lead sheets and full orchestration scores, serving all genres of music including, but not limited to, Pop, Rock, Blues, Jazz, Classical, Folk, Metal, Punk, Latin, Disco, Jazz Fusion, Dance, Swing, Country, Reggae, Salsa, Garage, Traditional, Samba, Techno and Indie. We can adapt and orchestrate any music composition into other forms to suit both the needs of movie music directors or productions teams and the music budgets available. We can create custom arrangements and compositions on demand. Our services include reharmonization, paraphrasing, and/or development of a composition, so that the music fully represents the melodic, harmonic and rhythmic structure required by the movie production teams and music director. We can also employ additional compositional techniques, such as new thematic material for introductions, transitions, or modulations and endings to give an existing melody more musical variety. Dancing Mice personnel offer a full music notation service from an individual part to a full score. 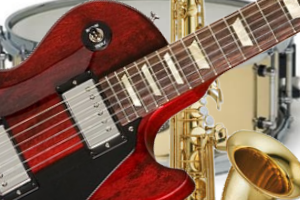 We can provide everything from lead sheets detailing the melody, lyrics and harmony, chord charts providing detailed harmonic and rhythmic information, though to finished sheet music. Our services to the music industry are conducted by experienced, highly qualified and professional musicians. We also employ the very latest music notation software to format and print completed arrangements into sheet music and finished copy.